Ooma Telo gives you the flexibility to manage your voicemail settings on-the-go or at home. 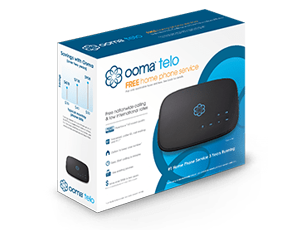 To set up your initial voicemail settings, pick up the phone and press the "play" button on your Ooma Telo. You will then be asked to set up your PIN for remote access to your Ooma account, record your name, and record your greeting. From your Ooma Office phone. From another Ooma Office phone or from an outside phone line. Dialing through your Virtual Receptionist. Through the Ooma Office Mobile App. If you want to learn more about Ooma voicemail or our other end user features, check out our list of extended FAQs. What are the differences between Ooma Basic and Ooma Premier? Why do I need Ooma when I have a mobile phone?